Saatchi Art’s curators have worked with artists from around the world to hand-pick every artwork we offer on Limited in order to provide you with an unmatched selection of limited edition prints. 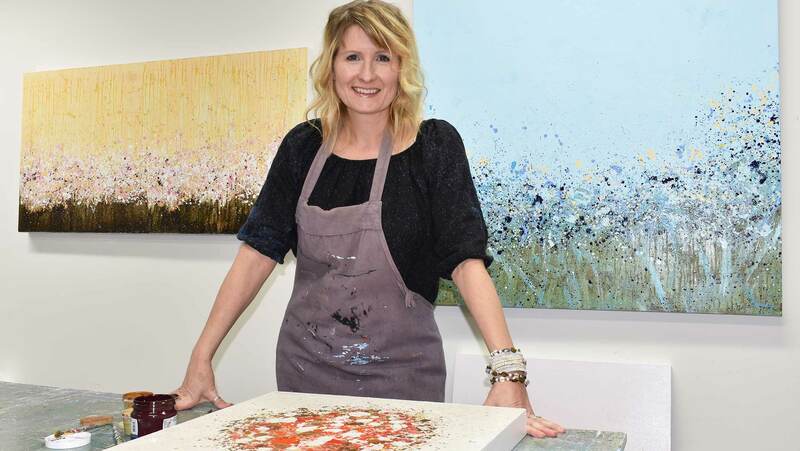 We are proud to offer "Flower Meadow" by Lisa Carney, which is available exclusively on Limited. Artworks in a limited edition have a set number of prints available for each size offered. For the 10x8 size edition, "Flower Meadow" comes in a limited edition of only 100 prints. Once all 100 of the prints in this edition size have sold out, there will be no other prints of "Flower Meadow" available in the size of 10 inches high by 8 inches wide. Limited edition prints of this artwork may be available in other sizes. This is an original floral abstract painting created in beautiful shades of sandy beige, maroon, orange, pink and white. It is part of my GeoFlora series, a series of botanical and floral abstract paintings. I use drip and splash techniques to suggest plant life, like wild flowered fields and sea corals. I have signed it on the front, and signed, titled and dated the artwork on the back. I have painted the sides white. This painting arrives wired and ready to hang. I use professional grade acrylics with high quality color pigments that have very good to excellent resistance to fading. All of my paintings are finished with two coats of satin varnish to enhances the intensity, transparency and luminosity of colors and to protect the artwork from UV rays and dust. 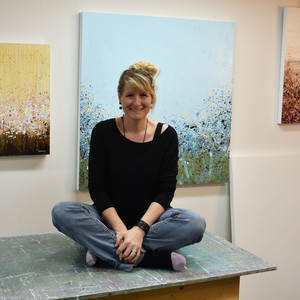 Canadian-based artist Lisa Carney uses energetic splashes of acrylic paint to create peaceful, floral-inspired artworks. Her style harkens back to the Abstract Expressionists in its free form and fluid style.